iBird Lite is the best free field guide app to identify birds of North America or Hawaii. Whether you are an experienced birder or a beginner at birding, iBird Lite is completely up to date with the 2016 AOU and ABA checklist. iBird Lite contains 40 species of both native and rare North American and Hawaiian birds and is the perfect way discover birding. iBird Lite includes the Birds Around Me (BAM) feature that restricts the birds to those near your GPS area and the patented Percevia™ Smart Search feature which gives anyone the skills if a bird identification expert. With the Percevia avian matching system you can search for birds by color, location, shape, habitat or any one of our 35 identification field marks to find your bird. iBird Lite’s comprehensive species pages have dozens of built-in bird songs, professional high resolution bird photographs, hand-drawn composite illustrations and range maps. Update 9.2 of iBird Lite Guide to Birds now includes iCloud for backing up your own photos, notes and favorites. ■ Identifies 40 species with in-depth descriptions including details on appearance, habitat, behavior, conservation, size, weight, color, pattern, shape, sexual differences and much more. ■ As a free app iBird Lite is the best way to discover if birding is for you. ■ iBird’s visual matching system means no longer scrolling through dozens of the wrong choices. iBird matches just those birds near you that fit your description. ■ Hours of highest quality bird sound recordings. ■ This new update to iBird we have added new drawings, new search attributes to help you identify birds and other improvements you have asked for. 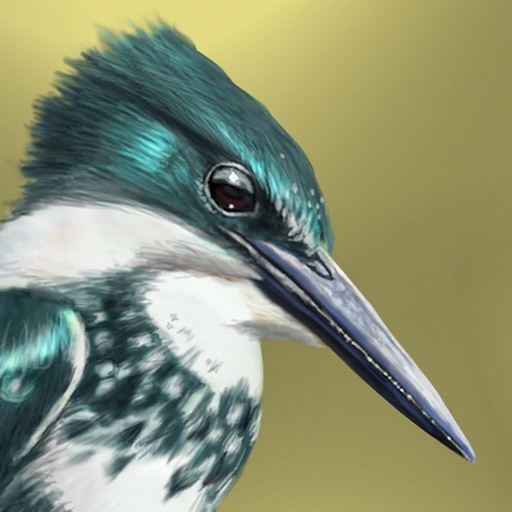 "If you’re looking for the most expansive digital key, the encyclopedia-like iBird excels. It has the most sophisticated algorithm, incorporates live location, shows search results in real time (with a slide show option) and has the most fine-grained advanced key choices." Update 9.21 of iBird Lite Guide to Birds fixes a bug in iCloud Notes. Be aware that iCloud has replaced Dropbox for backing up your own photos, notes and favorites. There is a migration feature that will automatically move your Notes and Favorites from Dropbox to iCloud. Just follow the popup instructions. Additionally, we have updated these species: Caspian Tern, Common Ground-Dove, Dusky Thrush, Elf Owl, Great Skua, Hoary Redpoll, Olive-backed Pipit, Reed Bunting and the Rustic Bunting. If you encounter ANY issues please contact us at http://ibird.com/contact-us/ . We'll be happy to assist you!